Joining the dev branch will give you more frequent Garry's Mod updates. These updates might be unstable or buggy. If you are having trouble with the dev branch then leave it. 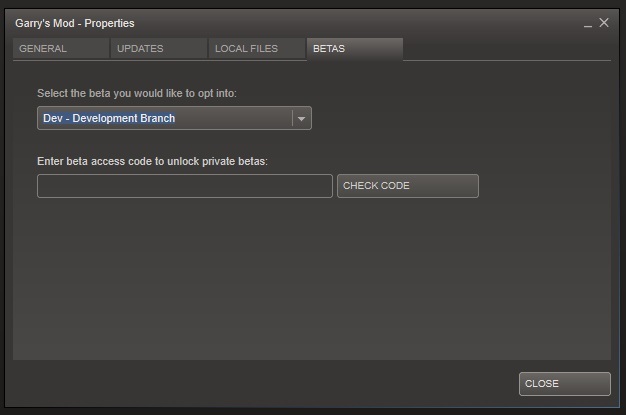 Change the drop down to "Dev - Development Branch"
Note that the dropdown is sometimes broken. If you click on it and use the arrow keys on your keyboard you can make it change. To opt out of beta you can simply change it back.